In this April 8, 2016 booking file photo released by Austin Police Department, Meechaiel Criner is seen. 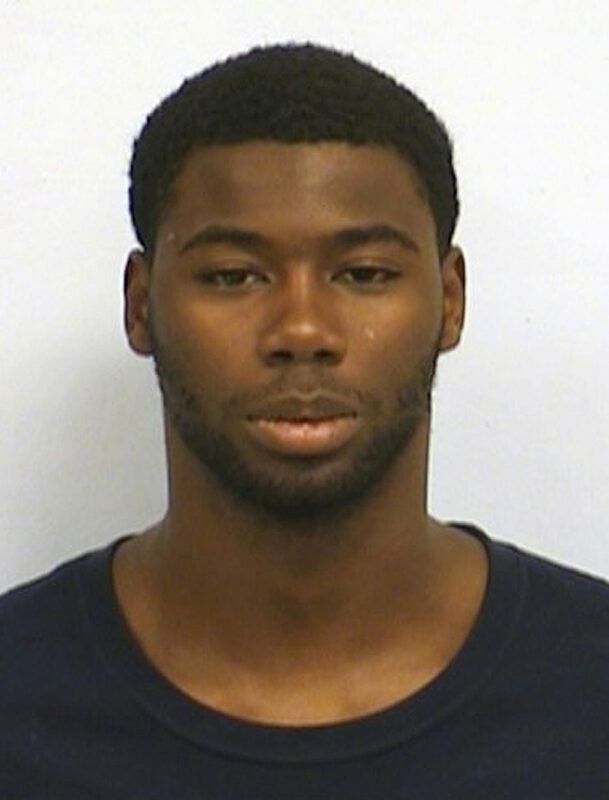 Criner has been indicted on a capital murder charge in the campus killing of University of Texas at Austin student Haruka Weiser in April. The indictment was released Friday, June 10, 2016. Just weeks after the one-year anniversary of Haruka Weiser’s death, The University of Texas at Austin is now mourning the May 1 death of another young life — that of Harrison Brown, who was fatally stabbed near a food truck on campus. No doubt, these tragic events will forever affect the friends and family of the victims, and the campus community, as a whole. The university community will continue to wrestle with a shaken sense of safety. But any university can only do so much to ensure its students’ safety. And as difficult as it may be for many to acknowledge, these tragic events also have changed two other young lives and that of their families. Meechaiel Criner, was just 17 when he was charged with capital murder in the death of Weiser. Kendrex White, 21, has been charged with murder in the stabbing death of Brown, and the injury of three others. We need to honor the victims but we also need to understand the forces that may contribute to tragedies like these. In addition to being young and black, Criner and White both struggle with mental illness. According to the Center for Prisoner Health and Human Rights, over half of inmates meet criteria for mental illness, but few receive mental health treatment while incarcerated. A growing body of research suggests that factors beyond individual genes and behaviors, such as income, education, and discrimination, are strongly related to health — including mental health. Studies suggest that about 40 percent of our health is due to these social factors. According to the World Health Organization, risk factors for many common mental illnesses are strongly associated with systemic social inequalities — the greater the inequality the higher the risk. Chronic stress and discrimination based on race are among the risk factors. Put simply: Being black itself is a risk factor. We only need to look at recent incidents to comprehend the extent of the chronic and toxic stress that the African-American community experiences daily. Given the extent of our anger and pain following heinous crimes, like the deaths of Weiser and Brown, retribution may provide a sense of justice. Yet, reflecting upon the scientific evidence may lead us to additional long-term solutions. And while we cannot know precisely what would have made a difference for Criner or White, there is a clear scientific consensus that giving every child the best possible start will result in the greatest societal and mental health benefits. We know that traumatic childhood experiences have long-term effects on mental and physical health. And we know that decades of racially motivated housing and exclusionary zoning polices have forced many black children to live in segregated neighborhoods, many filled with high crime and multigenerational poverty. African-American children are more likely than white children to attend racially homogeneous, high-poverty schools, with profound negative effects on academic achievement. Furthermore, African American children face more frequent and harsher punishments in school than their white peers, resulting in the school-to-prison pipeline. Shortly after Weiser’s death, the university launched a comprehensive safety study to improve campus security, and has implemented a number of recommended measures. Instead of asking what else the university should do, perhaps a more important question to ask now is if the rest of us have done enough.